Nearly two years after a massive data breach at Target left millions of consumers’ personal information at risk, the company announced it won’t face enforcement action from at least one government agency. The Securities and Exchange Commission – just one government entity to investigate Target’s breach – won’t penalize the retailer, according to the company’s quarterly filing [PDF]. “The SEC’s Enforcement Division concluded its investigation during the second quarter of 2015 and does not intend to recommend an enforcement action against us,” the company says in the filing. While the closure of the SEC investigation relieves one possible liability for the retailer, other agencies, including the Federal Trade Commission and various State Attorneys General, continue to investigate the data breach. Target goes on to detail its costs so far related to the data breach, noting it has incurred $264 million in cumulative expenses. That figure is partially offset by expected insurance recoveries of $90 million, for a net cumulative expenses of $174 million. The company’s announcement Wednesday comes just a week after it reached a deal with Visa to give about $67 million back to consumers affected by the breach. While the figure was attributed to “people familiar with the situation,” the company confirmed the payment amount in the new SEC filing. 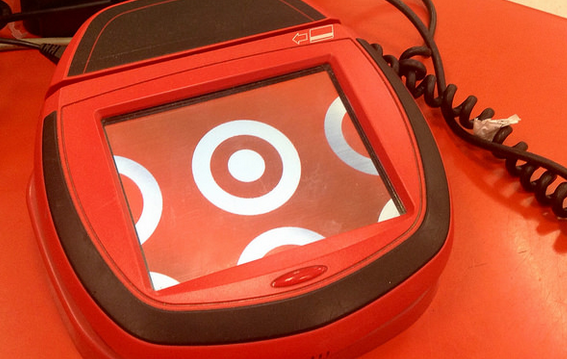 Target says it will continue to dispute claims filed by the three other major payment networks.